Our consultants have worked with a number of organisations to support them in developing and aligning their company procedures with the industry best practices in reliability and technical risk management, including the recommendations of API RP 17 N and ISO 20815. Astrimar provides corporate support to operators and contractors to develop and implement reliability engineering and management practices. Astrimar supports clients in the development and implementation of their own reliability and risk management processes using best practice and aligning with industry guidance, such as that incorporated in API RP 17N, API RP 17Q, DNV RP A203, the EI Integrity Management Guidelines and ISO 20815. We work towards consistency and coherency to help our clients deliver highly reliable systems and solutions, adding value to their business. System reliability, system design and operations are fully integrated. 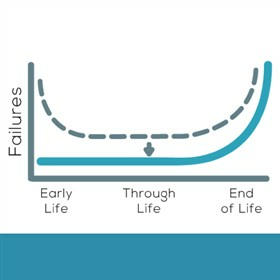 We believe that reliability is an important input to both design and integrity management, to drive down the potential for failure throughout life. It is not just a measured output once design is complete. Our support continues beyond the definition of company practice into training, roll-out and ongoing coaching to ensure value to the company is maximised at every stage in the lifecycle.